What's the game you most wanted to play as a child, but never did? Maybe it was on a console you didn't own, or it was too expensive, or denied to you by your parents because it was too violent or otherwise unsuitable. Maybe you only had the demo, or perhaps you played it at a friend's house but never owned a copy of your own. For me it was probably Resident Evil 2. I have a very specific memory of sitting in bed one evening in 1997, flicking through a games magazine (probably the now-defunct PC Zone, although I can't remember specifically) and being absolutely fascinated with this particular four-page spread about Resi 2. I would have been 10 years old, far too young to play such a grisly horror game (officially, anyway). Magazines, however, didn't have age ratings, and so I read that feature over and over, imagining what the game itself was like to play. It wasn't until years later that I got my hands on the full game, by which point I'd largely forgotten about how badly I'd wanted to play it when it first launched. But when I saw that Resi 2 was enjoying its 20th anniversary this year, for some reason it triggered that dusty childhood memory lodged deep in the back of my mind. Now it's like an itch I can't scratch, because while I remember wanting to play it I can't recall the exact reason why I wanted to play it so badly. There are plenty of perfectly valid reasons why anyone might want to play Resident Evil 2. Even today it's regarded as one of the best entries in the series, jostling for first place with Resident Evil 4. 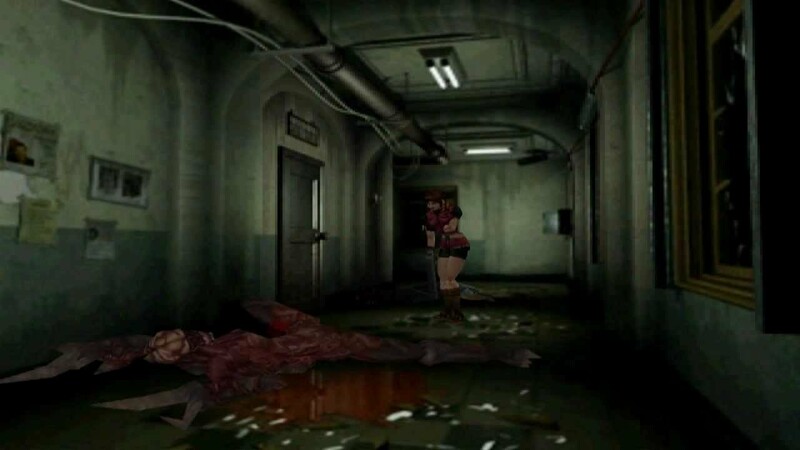 Where the original Resident Evil saw you poking around a hokey old mansion, solving obscure puzzles that were more of an obstacle than the shambling undead, the sequel both expanded and modernised this premise. 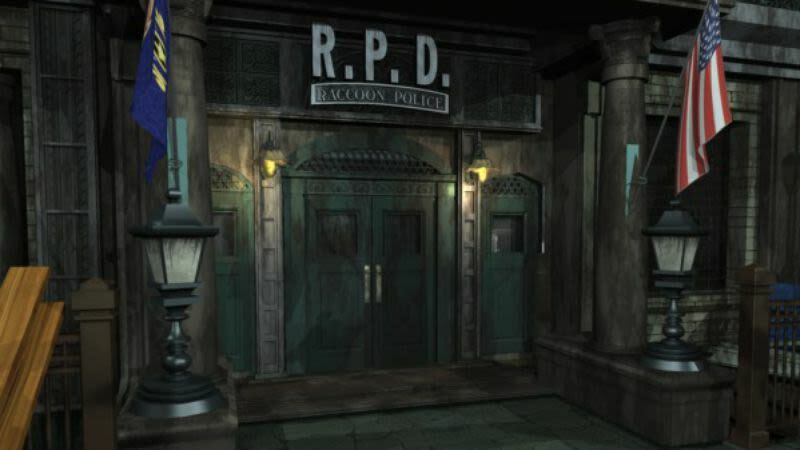 It spread the T-Virus outbreak to the entirety of Racoon City and saw players dashing through zombie-infested streets, hiding inside buses, and barricading themselves inside the massive, labyrinthine Police Station that served as the focal point of the game's first act. Having returned to Resi 2 more recently, there are a few things that stand out to me as an adult. The first is the immediacy of its introduction. 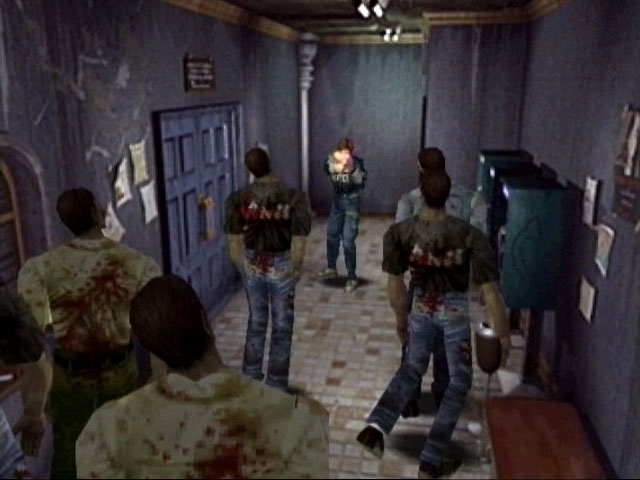 The original Resident Evil had a slow and creeping build-up, letting the player explore alone for a while before debuting its first zombie in a dramatic cutscene. Terrifying in the mid-nineties, today it doesn't have the same impact, mainly thanks to the saturation of zombie culture. By comparison, Resi 2 begins by placing you smack in the middle of a cluster of zombies, with nowhere near enough ammo to take them all out. There's only one option: Run, and keep running until you're off the streets entirely. It's a pulse-pounding introduction and must have come as a huge shock to anyone who played both games first time around. The other feature that stands out to me is the choice of a police station as the central location for the game to unfold. Again, this is a reaction to original, which revelled in cliché with its spooky and enigmatic haunted mansion. By contrast, a police station is the one place you'd expect to be safe, even in the most desperate of crises. By ripping out the heart of Racoon City, Capcom demonstrates starkly that the player truly is on their own. This effect is compounded by the grand and almost fortress-like design of RPD, laid out in a way that feels almost deliberately obstructive and difficult to navigate. Of course, it is deliberately designed that way for the purpose of creating puzzles for the player to solve. But there's a logic behind it too. Such a design would also provide a defensive advantage, which would be great if there are still officers left to defend it. When the player arrives, however, they're the ones essentially storming the castle, and doing so single-handedly without knowing what exactly lies inside. None of these are why I wanted to play Resident Evil back in 1997. As to that, I think it's probably the idea of exploring a city in crisis that appealed to me so strongly. Certainly, it's a notion that has caught my attention in many games since, from S.T.A.L.K.E.R to The Last of Us to Fallout 3. There's a curious delight in exploring these virtual urban spaces, once bustling with life, now abandoned and shrouded mystery. Each wind-blown newspaper and discarded soda can has an untold story behind it, hinting at an unseen depth which, realistically , it would be impossible to render onscreen. 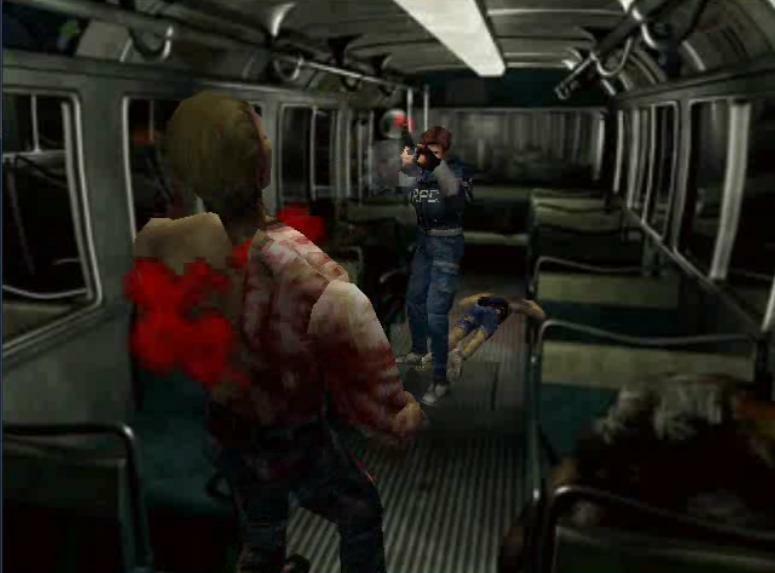 I believe Resident Evil 2 was the first time I'd encountered this particular sensation. It's a game that promised players the ability to explore a city before this was viably possible in game development. Resident Evil 2 arrived well before the introduction of level-streaming and LOD phasing which make today's open-world games possible. Even Grand Theft Auto III was but a twinkle in the Housers' eyes. Despite being a linear game that mostly takes place in one or two locations, however, Resi 2 captures the thrill of urban exploration, of peeking into other places and other lives through the scraps of civilisation left behind. Mechanically there's nothing dramatically different about Resident Evil 2. The 'zapping' system altered certain aspects of the game – plot points, item locations, enemy spawns, etc. – when you replayed the game as one character after having completed it with the other, but aside from that its new inclusions are straightforward sequel material: enemies, weapons, characters, and so on. Because of this, Resi 2 often gets overlooked in favour of the mechanically revolutionary fourth instalment. Indeed, it's telling that while both Resident Evil 4 and the original game have been remastered by Capcom, Resi 2 is yet to receive the same treatment. There is a Gamecube remake that's equally difficult to get hold of now, and apparently Capcom is working on a full remake of the game. But even if the latter does shamble out of the door, there's no guarantee it will maintain the essence of the original. Nonetheless, Resi 2 is still a revolution over the first, but it's one of style and tone rather than systems. Its the Hollywood Blockbuster compared to the first game's low-budget B-movie, one that files off the rough edges and scrubs up the surface to a brilliant sheen. Resident Evil may have established the series, but it was Resi 2 that began its constant strive to renew and improve upon itself – sometimes, admittedly, for the worse, but always fascinating to watch.